Wiltshire Council is welcoming the views of parents, carers, pupils, staff and the public on its vision to transform special needs education. The statutory consultation into the future vision for special schools in Wiltshire is now online. People are encouraged to send in their views on the council vision to transform special needs education. The council proposes to invest £20m in a new centre of excellence for pupils with special needs and disabilities. It will be developed at Rowdeford near Devizes to match the excellent facilities at Exeter House, Salisbury. The vision means that the schools at Larkrise, Trowbridge, and St Nicholas, Chippenham and Rowdeford will close in 2023. It is proposed that the three schools will be closed and replaced by a new special school which will be developed and established in accordance with Department for Education (DfE) Guidance “Opening and closing maintained schools: statutory guidance for proposers and decision-makers” (November 2018). All capital costs will be met by Wiltshire Council. 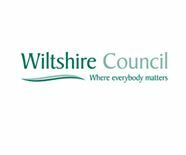 The final decision on the vision for SEND will be made at Wiltshire Council’s cabinet meeting in March after completion of the consultation.